Samsung has unveiled an updated version of its virtual reality headset, which works with its new Samsung Galaxy S6 and S6 Edge handsets. The Samsung Gear VR Innovator Edition opens up the virtual reality experience to users of the company's flagship handset, rather than the rather niche Galaxy Note phablet, as was the case on the previous edition. It's great news for VR fans, as the 577 ppi 5.1 AMOLED screen of the Galaxy S6 boasts 11% more pixels than the Note 4. Pixelation is certainly one downside of the Gear VR experience, so bigger ppi numbers certainly get a big thumbs up from us. However, far from just an old Gear VR with a different fitting, the Samsung Gear VR Innovator Edition is 15% lighter, offering some much needed comfort for gamers and movie watchers. 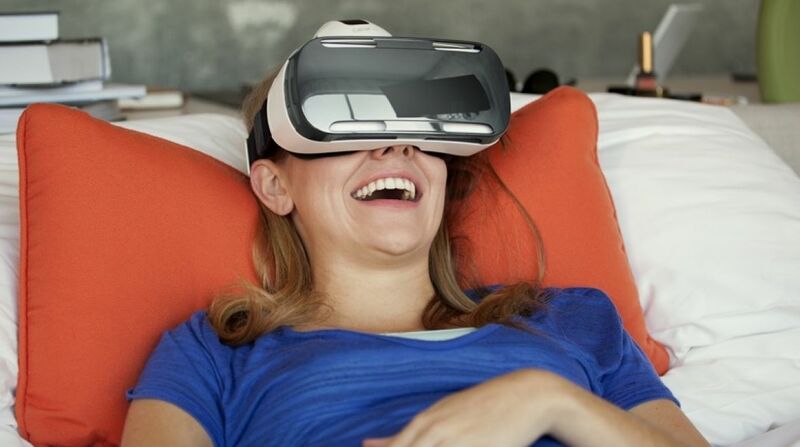 What's more, the updated Gear VR features a "mechanical ventilation system" for keeping your eyes cool. It's not a major update from the company, but by offering Gear VR to users of its flagship handset, it opens up its impressive ecosystem to millions more users, which is great for the technology.